in Plaza Del Mar, Playas de Rosarito Announcing a price drop on 44 El Mirador – Plaza Del Mar Club Section, a 2 bath , 3 bdrm single story. Now FOR SALE USD425,000 . Just Reduced! 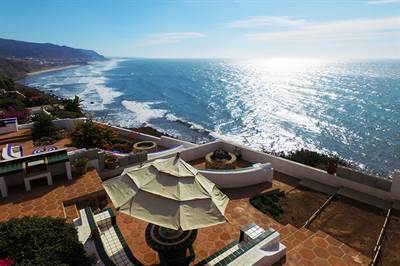 # 1 Costa De Oro in Costa de Oro, Playas de Rosarito is Sold! 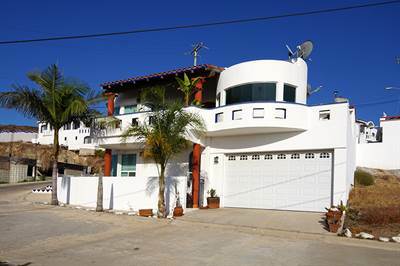 in Costa de Oro, Playas de Rosarito The 2 story at # 1 Costa De Oro has been sold. Posted on July 20, 2018 Leave a comment on # 1 Costa De Oro in Costa de Oro, Playas de Rosarito is Sold! • 1700 sqft , 2 bath , 3 bdrm 2 story – FOR SALE USD295,000 . As you walk in the front door, the 1st floor has a sizeable living area w/a beautiful stone fireplace, very modern kitchen w/lots of counter space & cabinets, full dining room, full bath & 1 nice size bedroom. Go up to the 2nd floor where there is another full bath, guest bedroom, and half of the 2nd floor is the substantial master bedroom with amazing ocean views. The master has custom wooden cabinetry along a complete wall w/TV space & storage. Walk outside the master sliding doors to a large ocean view upper deck w/fantastic space for enjoying a cup of coffee or evening sunset. Other special features include central heat for chilly winter mornings, quality new UV treated windows & outside paint. Although this home is on city water, it also has a pila & a brand new motor recently installed. This home is so cozy & charming…only steps to beach & ocean. Call us today for your personal tour!